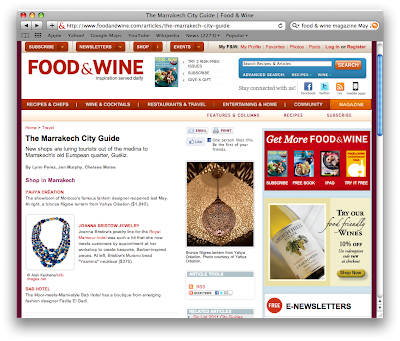 Joanna's Jewellery is featured in the new May edition of Food and Wine Magazine on page 52 in their Marrakech city guide section and on their website below. The featured blue Murano glass necklace is one of a limited edition series that is now sold out. However you can visit the website to see other beautiful designs that are still available.